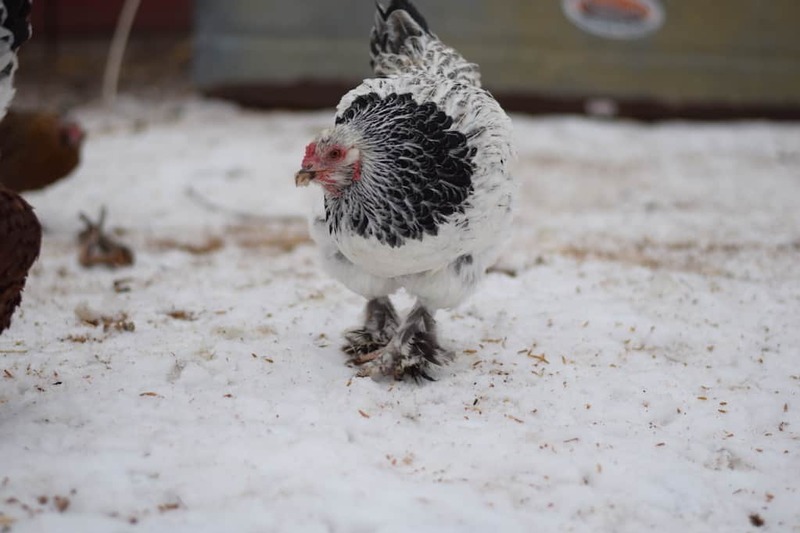 Keeping chickens during the winter time can be tricky business. Here is what I’d like to call the ultimate winter chicken guide. Doe they need lights and extra heat? Some people do supplement their chickens with these things. We choose not to because we like to keep things as natural around our homestead as possible. I just like to look at it like this. If the pioneers kept chickens without supplemental lights and they survived fine, we can do the same. 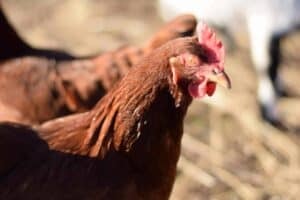 with a few added precautions, we can keep our chickens healthy, happy, and laying through the winter. First, I’ll share a few things that chickens don’t need for the winter. They don’t need sweaters or hats. Yes, it may look cute to some people, but chickens definitely don’t need to wear anything to keep warm. This can actually cause more harm than good. It can cause the chickens to sweat and that leads to moisture. Moisture causes frostbite. So, I see no added benefit or value to sweaters or hats. Same goes for adding vaseline to your chicken’s combs. We have never needed it and I really don’t care for the added chemicals that come in it. Why s frostbite bad? 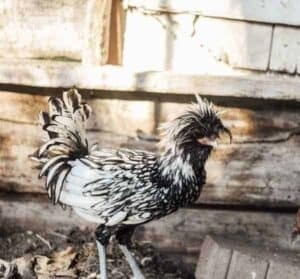 Among it being uncomfortable and painful, it also can create fertility issues in your chickens. It also could slow or even stop your chickens from laying. We don’t provide our chickens with supplemental light or heat either. That is totally fine if using heat/light is the route that you wish to go for your chickens. And if you choose to do this, please ensure that you’re not keeping your light on overnight. A timer can help with this and can help prevent a fire from breaking out because the light got too hot. Chickens also need the darkness of night for them to sleep and to to help keep them healthy. 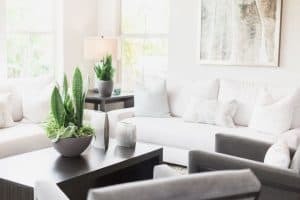 We choose not to add extra light because we want them to stay healthy. It could potentially mess up their hormones. I want my gals to lay as long as possible without unnatural sources. I just don’t want to risk anything if there is the potential of it messing with their health. Baby chicks are the exception to this rule; they need the heat. Another safety tip, always ensure that you’re using the proper heat bulbs for your size heat lamp. Having cold hardy breeds is necessary for us. We live in an area where the temperature falls well below zero on occasion. 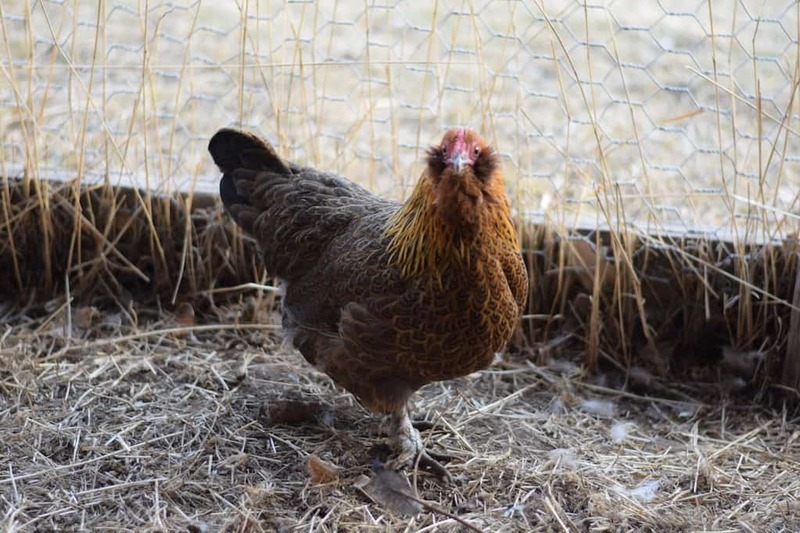 A few of those breeds that we have and absolutely love are Rhode Island Reds, Ameracuana, Brahmas, Buffs, Wyandottes. These breeds have great temperaments and mesh well together. Plus, they are all great with our young children. There are several other cold hardy breeds, these are just a few of our favorites. Our Rhode Island Reds are especially good layers for us, even during the colder months. 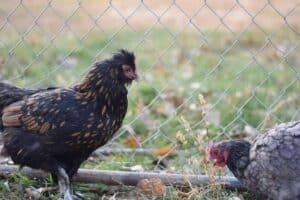 A couple of ways which you can keep your chickens laying longer are to buy chicks at various times throughout the year. Or breed your own. Or if you are able to, you could try ducks! 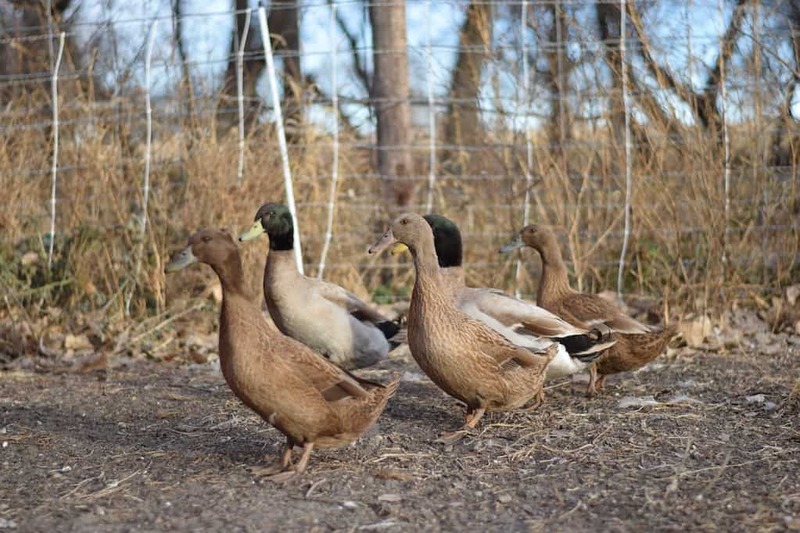 Most duck breeds lay nearly year round. We have American Black & Khaki Campbell ducks. Both are great layers for us. These things are necessary to provide your chickens with to keep them happy and healthy through the winter months. A coop or shelter that doesn’t have good ventilation leads to unwanted moisture. And moisture causes the potential for frostbite in your chickens. 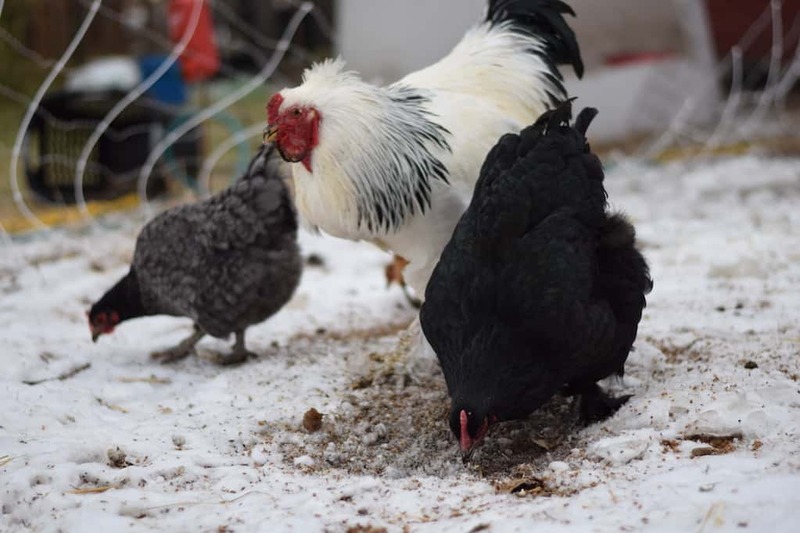 Helpful and good tip — ensure that the chicken run has a good wind break or some place for your chickens to escape the cold wind. Chicken droppings have a high water content and leaving them in the coop for an extended period of time contribute towards unneeded moisture. Making sure that it is cleaned each day can help save your chickens from that risk of frostbite. We use these water bowls and keep them from freezing during those crazy, subzero temperature days by using this heated water base. Another tip to keep your water dishes from freezing is to dump them out at night. Chickens don’t drink water at night, so those dishes aren’t needed until the morning. 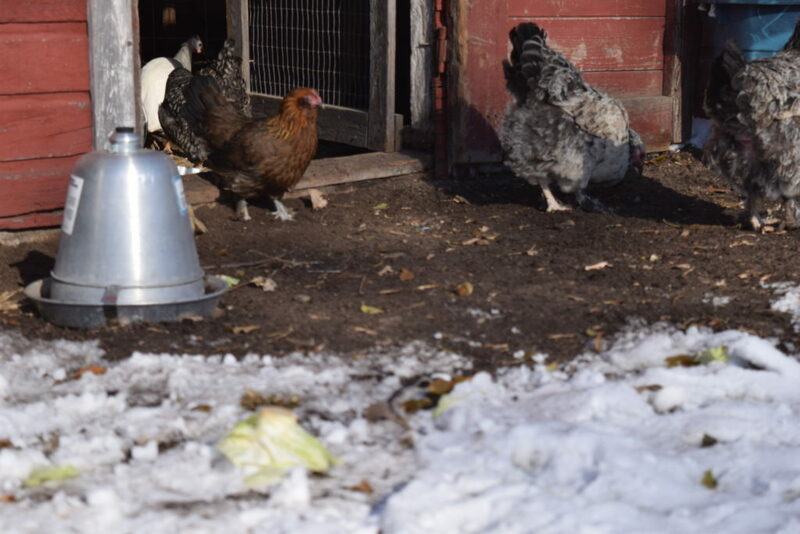 Also, keep water bowls or buckets in the run instead of inside of the coop to prevent moisture from building up. Water is necessary for chicken to regulate body temperature, so having it available and not frozen will also help prevent frostbite. It’s also super important for their digestion and egg production, as well as many other health needs. Fresh food, supplements & treats. We make sure that our chickens have a good quality feed each morning, but having enough protein and supplements are also important for your chicken’s health year round. 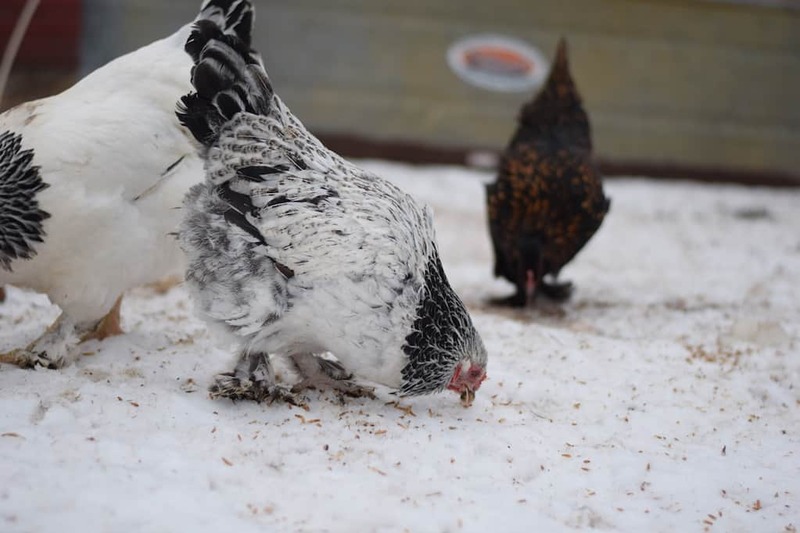 We like to make sure that our chickens have calcium supplements, occasional meal worm treats and I make them homemade flock blocks (see recipe below) for a winter boredom buster. Calcium is very important for chicken’s egg laying and for good hardy egg shells. I recycle my egg shells, crush them up, and feed them back to my chickens by mixing it up in their feed. 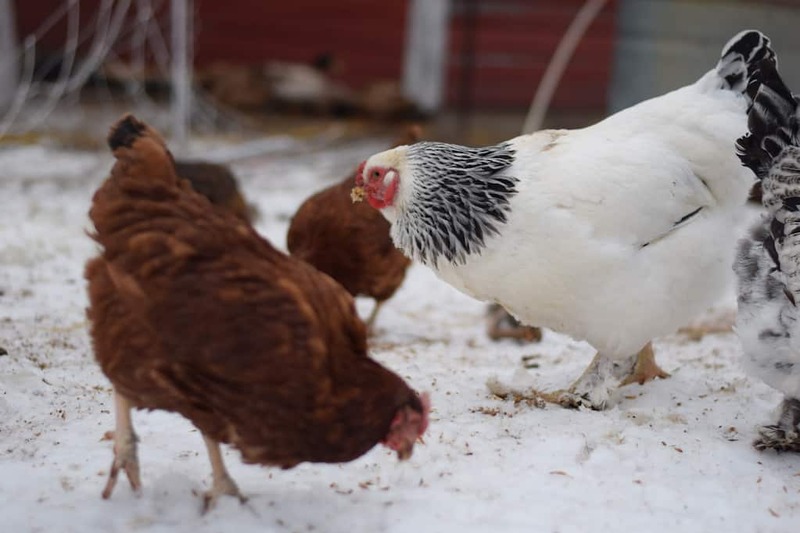 During the winter months, chickens can get bored easily because they have less daylight and less opportunity to have outdoor time. Sometimes this can lead to chickens picking on each other. And in some very bad occasions, they can kill each other. I will occasionally add in mealworms as a special treat for our chickens. You can play with the ingredients and substitute for chicken safe alternatives! Melt coconut oil on stove top. Once melted, remove from heat and stir in remaining ingredients. Pour your mixture into molds and allow to cool. I really like silicon cupcake molds for these. They just pop right out when they’re cool. These can be stored in the in fridge or freezer. Note: These are a great winter time treat, but are not recommended during warmer months since the coconut oil has a melting point of 76 degrees.